With Greece, Portugal and Ireland already driven to the brink of economic catastrophe, and the threat that a number of other EU countries are soon to follow, the consequences for the global economy are potentially dire. 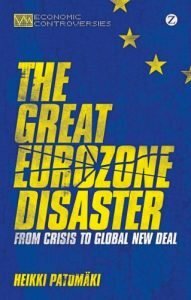 In The Great Eurozone Disaster, Heikki Patomäki dissects the current crisis, revealing its origins lie in the instability that has driven the process of financialisation since the early 1970s. Providing a captivating narrative about how Europe ended up in its present predicament, Patomäki presents a radical new vision for ‘global economic democracy’ as the only viable way out of the current crisis.